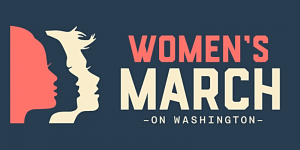 This weekend marks the second anniversary of the 2017 Women's March on Washington, one of largest in the nation's history, and an unprecedented action in its opposition to the policies of a US President. From the 600,000+ participants in Washington, DC, and in over 650 marches worldwide, a political movement arose that has since inspired millions more to vote and hundreds of women to run for elected office. 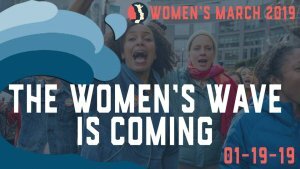 With the mission of harnessing the political power of diverse women and their communities to create transformative social change, the Women's March will again flood the streets of the nation's capital and in cities across the globe this Saturday, January 19th. 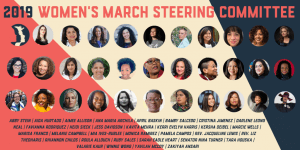 As a proud partner of the march, DemList invites you to join us! "We cannot walk alone. And as we walk, we must make the pledge that we shall always march ahead. We cannot turn back." -- Dr. Martin Luther King, Jr.
* Women have the right to live full and healthy lives, free of all forms of violence against our bodies. * Accountability and justice for police brutality, ending racial profiling of communities of color and Indigenous peoples. * Dismantling the gender and racial inequities within the criminal justice system. * An economy powered by transparency, accountability, security and equity. * Equal pay for equal work and the right of all women to be paid equitably. * Women of color and Indigenous women carry the heaviest burden in the global and domestic economic landscape, particularly in the care economy. * All workers - including domestic and farm workers - must have the right to organize and fight for a living minimum wage, and that unions are critical to a healthy and thriving economy for all. * Indigenous women's right to access, own, develop and control land and its resources. * Women's issues are issues faced by women with disabilities and Deaf women. * An all-inclusive Equal Rights Amendment to the U.S. Constitution. * Immigrant and refugee rights regardless of status or country of origin. *Working together to end war and live in peace with our sisters and brothers around the world.